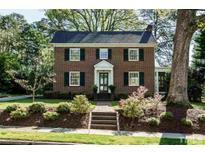 Find Raleigh, NC Homes for sale. View Photos, Maps and MLS Data Now! Dairyland - You'll love showing this one! MLS#2250383. 2017. Lacy - Martin - Broughton are three of Raleigh's best, too! MLS#2250470. 2016. 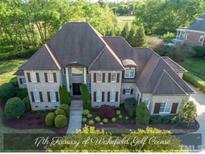 Wakefield - Gorgeous Executive Home on on 17th Fairway of TPC Golf course!Elegant 2Story Foyer w/crystal chandelier.Dining Room w/custom moldings&chandelier.2Story Living Room w/gas Fireplace.Dream Kitchen w/granite counters, gas range, island, walk in pantry, butler's pantry&breakfast nook.Family Room w/built-ins&gas Fireplace that opens to bright sunroom.1st Floor Master Retreat w/lighted tray ceiling, his&hers granite vanities,glass shower,jetted tub&custom closet.Bonus room w/Sitting Area.Veranda w/ fireplace&grilling station. MLS#2246166. 1128. The Oaks At Fallon Park - Family Room: 42" Linear Fireplace, SrrndSound & RecssdLghtng! MLS#2250485. 1128. The large attic, area over screened porch and backyard offer plenty of options for expansion. MLS#2250365. 2017. Starview - Studio/Office above garage, true Chef kitchen, Soapstone counters, Viking range, large Screened porch/wired shed, Sonos Sound. Come see FAST! MLS#2250532. 2017. Are you ready to come home and know you have it all in the heart of University Park? ! MLS#2250488. 1502. The home is a prime example of thoughtful decisions—from window placement to how the home is sited on the lot for maximum light and privacy. Showings start April 26. MLS#2249682. 4505. Wakefield - Main level bedroom with full bath. MLS#2246424. 3293. Glenlake Gardens - Across st from park. Mins to I40/440, Rex, Crabtree. MLS#2250540. 3048. Detached studio and shed in back. MLS#2250344. 1071. Banbury Woods - The massive screen porch is a true extension of the home, allowing for additional lounging and dining spaces. 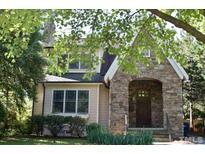 MLS#2250334. 5157. 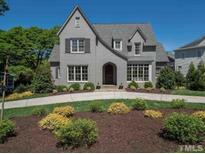 Bedford At Falls River - Corner lot within walking distance to greenway access. MLS#2250538. 3137. 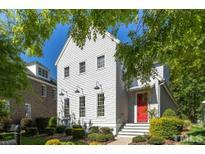 Boylan Heights - Enjoy all the best of Raleigh! MLS#2250349. 5163. Manchester - Upstairs office could be fifth bedroom. MLS#2250342. 2762. 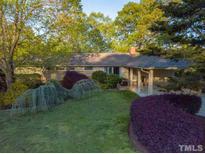 Woods Of Tiffany - Roof Replaced 2016, Water Softner 2018, Large 4th Bedroom Can Be Inlaw/Teen Suite, Hot Tub, Meet Neighbors At The Pool/Tennis/Sports Areas. Has It All! MLS#2250548. 2017. North Ridge - ft. unfinished room. 35-yr architectural shingles. MLS#2250457. 1319. Byrum Woods - Bonus room connects to deck area via outside stairs. MLS#2249370. 3300. Neighborhood offers 2 pools, clubhouse, tennis and playground. MLS#2244701. 983. This home is a must see! MLS#2249235. 4410.